images. What is compelling about them is the beating heart underneath the 'still lives' that you first assume them to be. These are after all places that have long since been left by their human inhabitants; you can't help feeling that they should be morbidly silent, but the truth is that they pulse with life. In the cover image for this issue - dominated as it is by the surreal combination of the outsize horns and the seemingly diminutive domestic items - the beauty of the picture lies in the little chair placed in hazardous but convenient proximity to the cooker, and the ugly great socket above it (not to mention the saw placed to its other side). These aren't chichi retro interiors staged for a lifestyle magazine, much as they might appeal to those with an eye for such things. This is real life as it was lived, and now, as the walls of these homes crumble and decay, another kind of life takes over. The need to uncover and record history has been a primary motivation for critics and writers at the heart of what was once known as Anglo-Welsh literature. Meic Stephens has made a major contribution to this project - his Oxford Companion to the Literature of Wales is just one example - and his latest anthology (Poetry 1900-2000: One Hundred Poets from Wales), reviewed in detail by Alan Riach in this issue, is no exception. The drive to canonise has been a sincere mode of creating a tradition of Welsh writing in English and certainly an effective means of passing down knowledge from one generation of literary critics to another. What has been most interesting is the powerful influence that feminist literary criticism has had upon this ongoing process of canonisation. As the critical assimilation of Welsh writing in English is so new - only really developing in the last half of the twentieth century - the field has been extraordinarily open to input from feminist critics, and all kinds of feminist approaches have been given free rein as a result. In this issue, Kirsti Bohata reviews three recent publications by critics and historians Jane Aaron, Katie Gramich and Ursula Masson. It's clear simply from the scope and reach of these studies that although gender-inflected interpretations of Welsh literary culture have made a relatively late appearance, they are no 'add-on' to the academic establishment in the way that they evidently were in the US and UK when they first emerged. Romantic ideas about unearthing 'lost' writers, male or female, will of course be all but redundant if the National Library of Wales's overarching digitisation project develops as planned. The library's mission goes far beyond the 'Journals Online' scheme that has attracted so much controversy; chief librarian Andrew Green writes in this issue of how he wants to bring the archives of Wales to life all over the world, thereby placing and promoting Welsh culture in an international context. 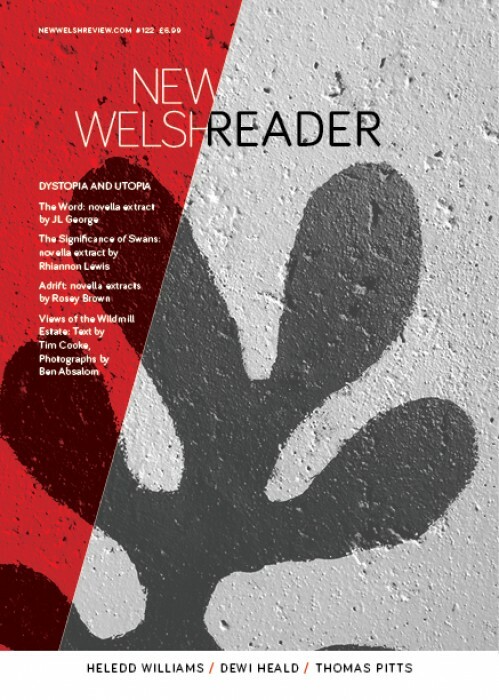 As for the journals project, the general tenor of the debates that have raged among authors has found expression in the literary magazines (including New Welsh Review: see, for example, the letters pages of the last issue) and on Academi's website, which has really come into its own in this context as a forum for necessary discussion. At the time of writing, New Welsh Review's Editorial Board is still considering the matter, and hopes to come to a final decision very soon. While it's true that there is no present without the past, then the opposite also holds: there is no past without the present. They coexist in an uneasy, symbiotic relationship that constantly confounds our attempts to synthesise, canonise and mythologise. That's why classic poems such as 'How to Write an Anglo-Welsh Poem' by John Davies are spot on, offering as they do satirical but affectionate reflections on this need for a teleological, idolising narrative of 'who we are'. Imogen Rhia Herrad's article on the phenomenon of the sheep in Welsh culture and literature seems very much in this mould; as in her fiction, which ngages in a truly fresh, contemporary way with Celtic myth, serious intent underlies the sparky humour. The past is never quite as known to us as we might assume. And the present? Unlike the past, perhaps it's not so much another country as a place where we like to think we belong.